Here's a quick info guide on how to maintain and avoid breaking your combos in the action RPG mobile game - Sword Art Online: Memory Defrag. Hope that this guide can answer all questions regarding combos. What Are Combos and Why Is It Important? - This is really important if you want to get faster clear time during ranking events. I Can't Maintain My Combos, What's Going On!? Reason #1: You Got Hit! - You need to parry and dodge well to avoid getting hit, or else your combo count will reset to 0. - In order to continue and maintain combos, you need to land hits. If you didn't attack for 1.5 sec, your combo count will reset. Reason #3: Your Character/s Doesn't Have Combo Window. - Combo Window is a skill given to select characters that can extend the number of seconds that they can be idle (example: Skill Slot: Combo Window Up 3 Seconds). - Parry+Switch tactics should be able to easily maintain combos, but most characters can't do it because they lack Combo Window. This is the main reason why your combos are still breaking even with a successful Parry+Switch. - Example: Without CW > without CW = combo breaks! - Example: With CW > without CW = combo breaks! - Example: Without CW > with CW = combo breaks! - The main reason here is because your parry stance is taking a lot of time, there is a work around though, check below for more info about this. 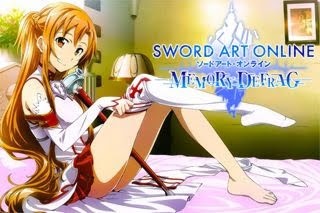 - If you want to make your SAO life easier then aim for these characters. - Passive Combo Window are active all the time, but some character requires that you use his or her SS3 first for example, to activate Combo Window. - Example: With CW > with CW = combo doesn't break! - For characters that needs CW activation, it's better to use their SS3 first before switching, not the other way around. - This doesn't mean that all characters without CW is worthless or trash, why? because in ranking events, massive damage output can't be ignored, so if you have a strong unit in your team that doesn't have CW but can counter the element of a boss for example, then that unit is still very viable (this has been proven from previous ranking events). - Not recommended but it does work. If you simply switch far from your target or before a Boss revives, your Combo Window will get extended. - Example: Without CW > with CW = combo doesn't break and CW will get extended. - Just switch near target and use SS1 to continue your combos. Here's an example video: credits to FaymystG. - You can use all characters with or without CW. - You'll be sacrificing MP for SS1, but this is ok though if you can easily defeat the boss with your remaining MP. This will require timing and player skill as well if you want to avoid damages. - After clearing all mobs or boss, the timer will pause, use this time to switch to any character you like before entering the next stage or battle. This is also a pretty common method for multi boss ranking events. - You need to be quick and land a hit once you enter the stage, the Combo Window is kinda longer this time though, so that helps. This method is also situational and depends on how the boss reacts at first encounter. Quick Attack Cancel > Parry+Switch! - Yup, it's possible if you are quick enough. What you need to do is to keep attacking then quickly "Block" to cancel attack animation + parry incoming attack, switch to any character then repeat. - Basically, your aim is to reduce your parry time, and to open up enough time for switching animation. - Requires timing, player skill, and this depends on the boss' attack pattern. Highly recommended to use with Dagger, Lancer, Rapier, or Sword wielders because it's easier to execute. A bit harder to do with other melee weapons though, and this doesn't work with Bow, Rod, and Gun wielders since they can't parry (so use them only as nukers). Use Lance Wielders > Parry+Switch! - Lance units can also do a quick Parry by simply dashing forward! - Note: Lance's forward parry can be used to help Gun/Bow/Rod users gain a parry ability by switching to them, but make sure that they don't have enough MP to cast any skills first. - While the enemy is stunned, you can instantly switch to any character and use their SS3 instead of SS1! Note that only select characters can do stun attacks. - Characters that can only active their Combo Window while buffed, will greatly benefit from your support units that can do any team buffs. - Sometimes, there are bosses that revives after getting their HP to 0, at this point, the revive animation can also break your Combos if you don't have any character with CW to switch into. - Just turn on SS3 Skill Cut Scenes from the Menu Options, then normally defeat the Boss. The skill cut scene can extend your Combo Window, but you must hit the revived Boss as soon as you can. 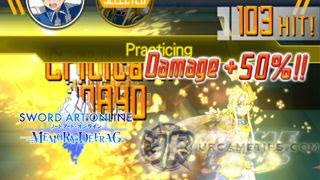 - We are aware that there are more other ways that can help maintain combos, but this methods will force you to take damages (example: just Spam SS3s while the Boss is attacking), so for now we will only consider methods that will avoid damages as well.